On the 11th of November at 4am Central European Time, the launch window was open for the Rocket Lab Electron rocket #ItsBusinessTime and it was a success. Onboard was also the dragsail technology demonstrator NABEO-1 developed by the Munich based SME HPS GmbH containing a CYPRES cutter. Such dragsails are a means to passively remove satellites from highly congested Low Earth Orbit regions after their mission life without the need of the spacecraft being alive. 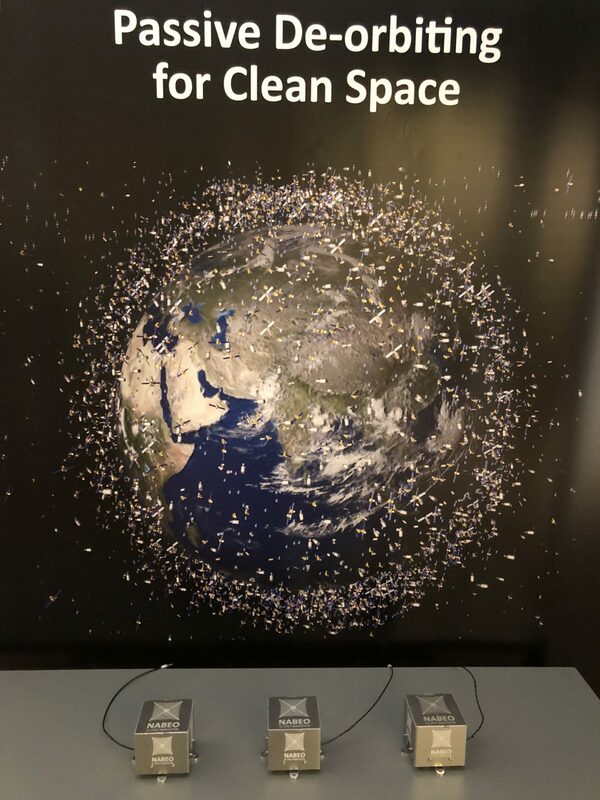 Such subsystems are considered as SDM (Space Debris Mitigation) technologies which are greatly supported by the ESA Clean Space Office. 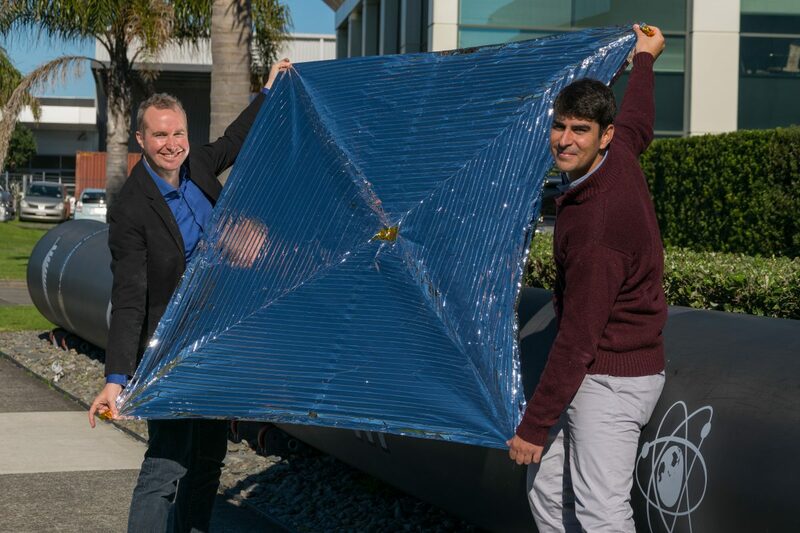 With a dragsail area of 2.5m² deployed from a cubesat sized box (<1U: 10cm x 10cm x 10cm) the NABEO-1 dragsails fit right into the ADEO-N dragsail class for cube and nanosatellites. Further development in dragsails for larger missions (ADEO-L for 100-500kg satellites) are currently undertaken at the ESA GSTP/CleanSpace activity ADEO which will lead to a qualified dragsail Protoflight Model in 2020 with a follow up In-Orbit Demonstration Mission right after. The sail deployment works with stored energy that will be released once the CYPRES Cutter enables the box to open and the sail to deploy. The CYPRES cutter needs to withstand the vibration and decompression loads as well as the thermal loads of the spacecraft subjected to the direct sunlight and the cold shadow Phase. For NABEO-1, the launch window of Rocket Lab’s #ItsBusinessTime opened on the 11th of November and closes on the 19th of November with daily launch opportunities between 4am and 8am Central European Time (4pm to 8pm NZDT). The #ItsBusinessTime rocket was launched from Rocket Lab’s Launch Complex 1 at the Mahia Peninsula on the North Island of New Zealand. The NABEO-1 subsystem is attached to the kick stage (3rd stage) of the Electron rocket and it will stay on the kick stage for its deployment which is monitored via an onboard camera. The dragsail will stay attached on the kick stage for the entire deorbit and it is planned to track the de-orbiting via optical telescopes. The opportunity to fly the NABEO technology demonstrator on the #ItsBusinessTime mission was offered by Rocket Lab (Huntington Beach, CA, USA / Auckland, New Zealand) and Ecliptic Enterprises Corporation (Pasadena, CA, USA) via Ecliptic’s Hosted Payload Program (HPP), with NABEO-1 serving as a pathfinder for demonstrating the Electron rocket’s hosted payload capabilities. The NABEO-1 subsystem development at HPS GmbH was co-funded by the Bavarian Ministry of Economic affairs, Energy and Technology. The foundations for the dragsail technology have been laid in 2017 by joint research activities between the DLR Institute for Space Systems (Bremen), Fraunhofer Ernst Mach Institute (Freiburg), and HPS GmbH (Munich). Updates on the mission can be found on the HPS GmbH Facebook (@HighPerformanceSpace) as well as Twitter Feeds (@HPS_GmbH). A live stream of the launch was provided directly on the website of Rocket Lab (www.rocketlabusa.com).